For the last 8 years the Pathe Foundation in Paris has worked with Pritzker-winning architect Renzo Piano to design and construct their new headquarters. 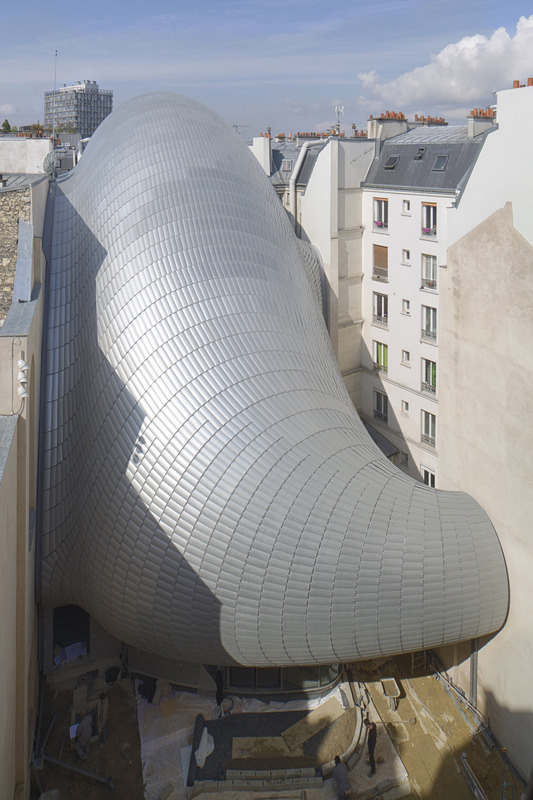 Slated for a grand opening this September, photos have emerged that reveal, in the architect’s own words, “an unexpected presence”: a curved bulbous structure that looks like it’s been squeezed into an opening within a historic Parisian city block. “The art of inserting a new building into an historic city block,” says Piano, “means engaging in an open, physical dialogue with the existing city buildings.” In other words, it’s an exercise in reclaiming space.